The second vow: how can I free others from delusion? I have a question about the one of the bodhisattva vows. As a bodhisattva, how can I free all people if I have only access to my delusions? I have access to my own delusions and I can work with them. But I don’t have access to your delusions. I can stay with people in the suffering and I can have empathy with them. But how can I free them? The first word, bonnō, can be translated as klesha, illusion, or delusion. However, bonno is more than illusion or delusion. Bonnō is more like desire based on illusion or delusion, which is a kind of energy. You might translate this bonnō (煩惱) from Chinese as “something bothers you” or “annoyances.” So, this is not simply illusion or delusion but something that annoys or bothers us and prevents us from being normal, natural, or sober. Bonnō is the origin of our suffering. In Yogacara, which is considered as a kind of Buddhist psychology, everything is categorized, analyzed, and defined. According to Yogcara teachings, there are four very basic and fundamental bonnō, or four aspects to bonnō. Those four are gachi 我癡, gaken 我見, gaman 我慢, and gaai 我愛. Ga means self; chi is ignorance; ken is view; man is arrogance; and ai is love or attachment. All delusions or bonnō come from this ga or atman which means self. Gachi is ignorance about the self, which means we don’t understand that there is no fixed thing called a self. We don’t understand anatman. Atman is self, anatman is no-self. In this bonnō, we don’t know the reality that there’s no such fixed permanent self that can exist without relation to others. Based on that self, we view things and we create a picture of the world and the center of that world is me. That is gaken, the second delusion, our self-centered view. The “I am most important” is this part, ga. And this part – ken – is to make a picture of the world in which I am the center. It is like in a world atlas made in Japan, Japan is always the center of the world and in an atlas made in the United States, the United States is the center of the world. In my world, I am the center; no one can be center of the world beside me. That is gaken. The third delusion is this self or ga or ego which compares self with others and always thinks “I’m better than them”— or at least I want to be. If I think I’m not better than others we have another problem called “inferiority complex.” Both are considered gaman. The English word arrogance doesn’t quite work because this man includes inferiority complex. “I’m no good” is part of this problem. So, this is like self-importance. Gaai is negative love or self-attachment. These four are the basis of all other bonnō. It is said there are 108 bonnō; that is why on New Year’s Eve in Japan we visit a Buddhist temple and ring the huge bell 108 times, to be free from those 108 bonnō. The number 108 means immeasurable because the Chinese character for 8 is 八 which means open ended or no limitation. It is not a particular number but means immeasurable or numberless bonnō. However, the basis of those numberless bonnō are these four fundamental bonnō about the self. Of course, we cannot access other peoples’ delusions; however, Buddha accessed the source or foundation of our delusions – which is clinging to the self (ga). Each one of us has different kinds of delusions and different kinds of hindrances or problems, but the basis of all those problems is the same. The basis is self-clinging or ignorance about the self and ignorance about interconnectedness. That is the way Buddha has access to our delusions, and he teaches how to become free from them. So Buddha didn’t know what kind of delusions I have but he gave me the way to practice to become free from these problems. That is what I’m trying to share with people. You have to work for yourself to become free from your personal delusions. We cannot release other people from their delusions, but we can share how Buddha practiced and how practitioners or teachers practice and become released from their own delusions. I received the teaching from my teacher and that is what I’m trying to share with people. I cannot release you from your own delusion, but to me this practice was helpful to be free from my personal delusion. Still, I’m deluded. 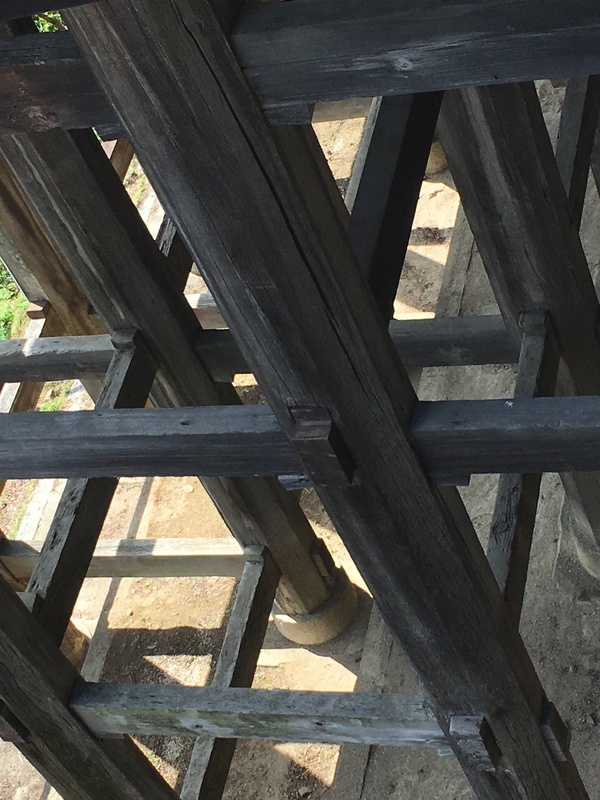 The Dōgen Institute hopes to offer an occasional series of questions from students with responses from Okumura Roshi about practice and study. These questions and responses are from Okumura Roshi’s recorded lectures, and are lightly edited. 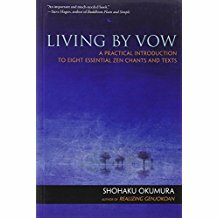 The bodhisattva vows are discussed in this book: Living by Vow: A Practical Introduction to Eight Essential Zen Chants and Texts, by Shohaku Okumura, Wisdom Publications, 2012. Paperback, 220 pages, $19.95. This immensely useful book explores Zen’s rich tradition of chanted liturgy and the powerful ways that such chants support meditation, expressing and helping us truly uphold our heartfelt vows to live a life of freedom and compassion. Also in Italy from Ubaldini Editore — Introduzione in Italiano qui. This entry was posted in Questions and responses and tagged anatman, atman, bodhisattva vows, delusion, interdependent origination, Okumura on November 18, 2018 by davidthompson1685. Thank you so much. this translations from the original japanese kanjis are such a blessing for clarity. I personally try humbly to help people feel the interconnectivity through the silent taste of french shojin ryori.